Astronomers, however, don't seem to understand what the big deal is. "We are concerned with what appears to be very abnormal behavior by a declared ‘space apparatus inspector,'" US Assistant Secretary of State for Arms Control, Verification and Compliance Yleem Poblete told the UN Tuesday. "The only certainty we have is that this system has been ‘placed in orbit… We don't know for certain what it is, and there is no way to verify it." "Its behavior on-orbit was inconsistent with anything seen before from on-orbit inspection or space situational awareness capabilities, including other Russian inspection satellite activities," she continued. "This system is certainly puzzling and even unusual," Jonathan McDowell, an astronomer at the Harvard-Smithsonian Center for Astrophysics, wrote Thursday, "but 'abnormal' seems a bit strong, as the US has flown its own classified satellites which have performed unexplained orbit changes, proximity operations and subsatellite deployments." The spacecraft in question is actually a trio of vehicles: Kosmos 2519, 2521 and 2523, launched on June 23, 2017, from the Plesetsk Cosmodrome in northern Russia. In orbit, the parent satellite, 2519, deployed 2521 in August 2017, which in turn deployed 2523 in October of that year. In August 2017, the Russian Ministry of Defense said the "small space apparatus," probably referring to 2521, would be used for "examining the condition of a Russian satellite." "In the longer term, a research experiment will be carried out to use the space apparatus for examining the outward appearance of that satellite," the ministry said, noting that it will be "a space platform capable of carrying different payloads." 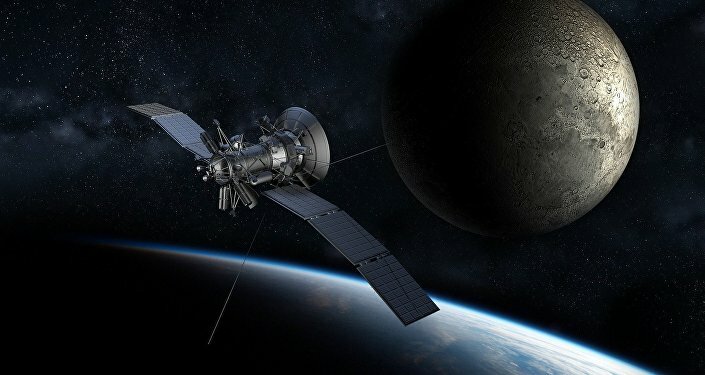 "The space forces proved their ability to ensure the satellite's automatic undocking from the platform, the remote control of its flight and the activation of the satellite payload, including surveillance hardware, data transfer to Earth and data processing," the statement, published in Izvestiya, said. In October, when 2523 separated from 2521, the ministry further noted that it had tested "controlling the maneuvering defense satellite, ground and orbital communication systems" of the satellite as well as employing "methods involving ballistic estimates and new software." The satellite then returned to its parent. McDowell noted that both subsatellites conducted a series of maneuvers involving changing their orbits to higher or lower than their parent satellite, including changing from circular to elliptical orbits and back again. Perhaps the Russians "are checking out the [spacecraft] bus and its capability to deliver multiple subsatellites to different orbits — something like that," McDowell told Space.com Thursday. "From the information that's available in the public domain, that would be an entirely plausible interpretation." Brian Weeden, director of program planning at the nonprofit Secure World Foundation, noted on Twitter Thursday that the satellites had made "some minor maneuvers and possibly [come] close to another satellite, which is consistent with an inspection role." In February 2018, Kosmos 2523 "did a significant maneuver" to a different orbit, "but otherwise hasn't appeared to do anything particularly nefarious or suspicious," he went on to note. "It's deployment was unusual, but hard to see at this point why the US is making it a big deal." ​It's worth noting, too, that the US has admitted to not knowing enough details about the satellite to know what it's doing, either. "We have no means of differentiating many objects' behaviors from that of a weapon," Poblete told the UN. "It is difficult to determine an object's true purpose simply by observing it on orbit." It's possible the satellites are connected to the military, although Weeden noted that the unusually early reporting date by the Russian government to the UN, August 1, is inconsistent with military launches. However, McDowell told Space.com that Poblete's claim the satellite was engaged in "very abnormal behavior" worthy of suspicion simply doesn't hold water. "What are they complaining about?" he asked. "There are a lot of facts and not a lot of pattern… So, partly I take the US statement as saying, 'Russia, how dare you do something confusing?'"